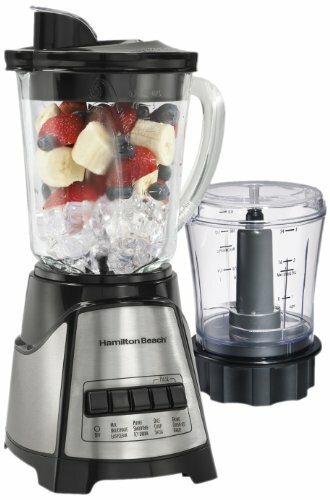 Looking for a blender with food processor attachment? 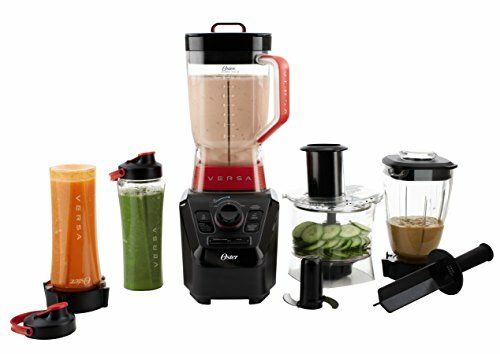 We've listed out 8 different blender food processor combos that you can use for multitasking in the kitchen. 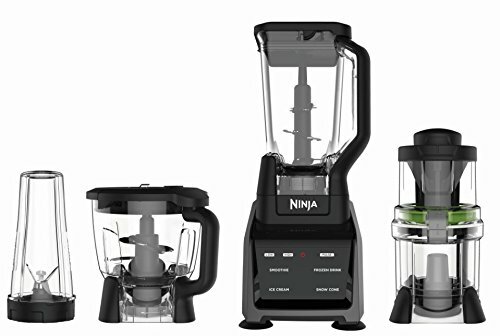 Not only does this blender come with a food processor attachment to make prepping for cooking faster than ever, but it also comes with other attachments, as well. The crushing pitcher, blender cup, and auto-spiralizer make it possible for you to pare down the appliances in your kitchen. They all fit neatly and snugly on the base, which powers them quickly and provides you with all of the chopping, pureeing, and spiralizing power that you want. Thanks to the touchscreen display, you’ll find that controlling this blender is incredibly easy and intuitive. Additionally, the smart base is able to automatically recognize each attachment that you use and will display preprogrammed settings for you to choose from. 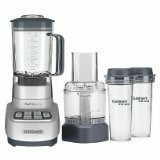 Not only does this blender from Cuisinart come with a large 56-ounce jar that is spacious enough to blend smoothies and soups, but it also has a food processor attachment to make meal prep incredibly fast and easy. The food processor attachment holds three cups and has a pusher as well as a feed tube. You will love the shredder/slicer disc and the chopper blade, as the two will make chopping, slicing, and dicing easier than ever. The to-go cups make taking your smoothie with you simple, and, thanks to the pre-programmed functions on the blender, you don’t ever have to worry about whether or not you can create the perfect meal. 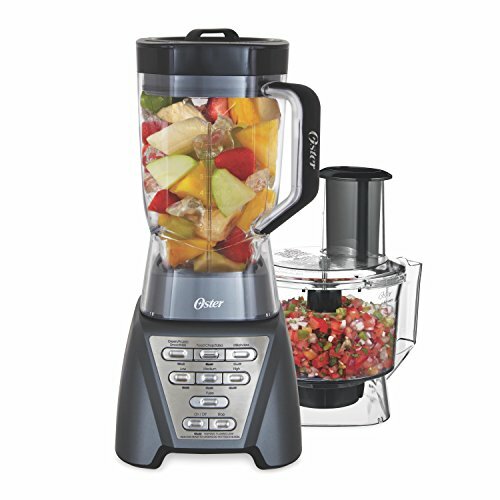 With a 700 Watt motor and a 5-cup jar and 3-cup food processor, you have all of the power and the space that you need to be able to chop, dice, puree, and liquefy without any problems. Thanks to the mess free spout on the jar, pouring smoothies or soup is incredibly easy and won’t cause a mess, and the measurements on the food processor bowl make measuring out ingredients for a recipe incredibly easy and fast. The stainless steel blades are designed to hold their sharp edge for a long time so that you don’t have to worry about whether or not they will be able to provide you with the cutting and chopping power that you need. 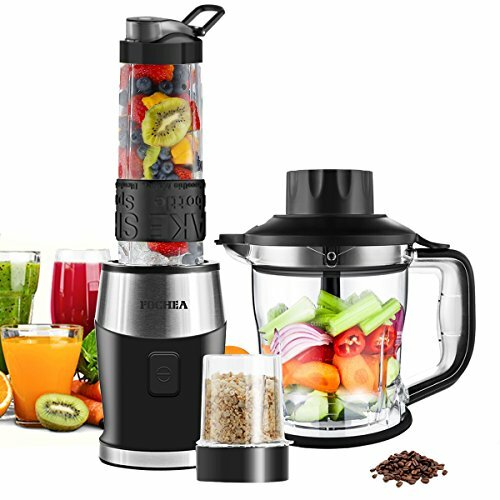 Thanks to the 12 blending functions as well as the pulse feature, you are sure to get the perfect consistency every time you use this blender. You never have to worry about whether or not you have room for a grinder, blender, and food processor in your kitchen when you opt for this appliance from FOCHEA. It takes the place of these three appliances and makes prepping for meals and making smoothies and soup very easy. The food chopper can also be used to grind spices, and the blender is powerful enough to power through ice and frozen fruit without slowing down or overheating. The stainless steel blades are strong enough to blend food without causing a lot of noise, and since you can easily wash all detachable parts in the dishwasher, cleanup is a breeze. Since the accessories click on and off of the base, you will know for sure when they are placed correctly on the base and ready for use. Thanks to the 1100 Watt motor on this blender, you never have to worry about whether or not your new appliance will have all of the power that you need when chopping or pureeing. You’ll love not having to worry about food getting caught underneath the blades, as they spin both forwards and backwards, which ensures that all of the ingredients in the jar are pulled down to the blades and blended quickly and evenly. Not only are there preprogrammed settings that you can choose from, but there are also manual controls so that you can easily make adjustments. The food processor attachment as well as the mini jar allow you to prep all of your ingredients without any problems and without having to chop a single vegetable by hand. 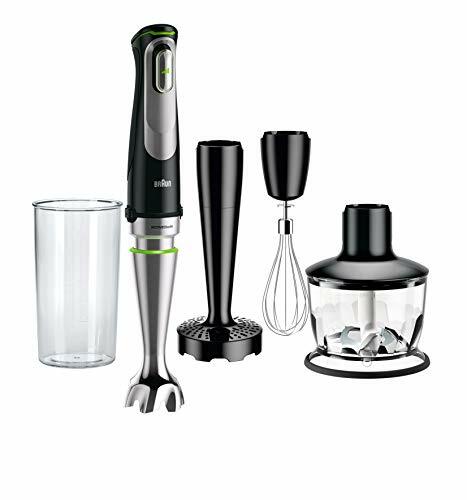 Unlike other blenders that have food processor attachments and are large appliances that tend to take up a lot of counter-top space, this immersion blender from Braun is easy to store, but it still offers you all of the power that you need. It’s easy to change the attachments while you are prepping for a meal, and since you can adjust your blending power without having to stop, you will find that you have complete control over your meal. Thanks to the smooth start, there won’t be any uncomfortable jolting when you turn on this blender, and the advanced technology and design helps to prevent any splashing, no matter what you are blending or chopping. Not only is the removable arm long enough to help you reach into very deep pots of soup without accidentally burning yourself, but the interchangeable attachments include three bell blades, a whisk, and a food processor. While the food processor bowl is only 2.5 cups, it is still large enough to provide you with enough space for all of your food prep needs. 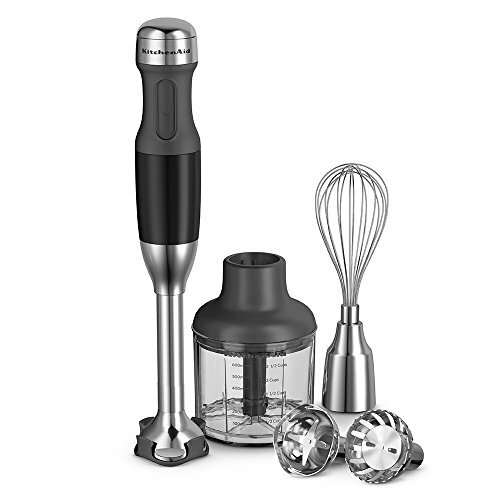 Thanks to the five different speeds that you can choose from, you will be able to perfectly customize how this blender works for you. Because you can switch effortlessly between the different attachments when prepping ingredients, you will find that this task goes much faster than before. This food processor and blender has seven different speeds to choose from, three different pre-programmed settings, and a pulse feature for the best control over your blending. The food processor is incredibly large, at 5 cups, which ensures that you have all of the space that you will need, no matter what vegetables you need to process. Thanks to the extra wide jar on the blender, your ingredients won’t have any problems falling down to the blades and being blended. With 1200 Watts of power to crush ice, it’s easy to see why this blender is known for being strong and powerful.